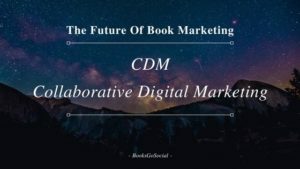 The C, the collaborative part, is what makes this different from the usual look-at-me digital marketing which drives a lot of the promotions authors have done so far. 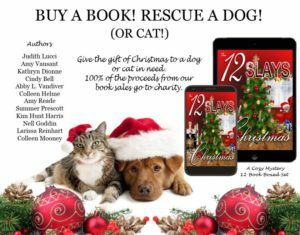 Other authors are collaborating in multiple ways including, as one prime example, on Instafreebie where we promote each other’s ebook giveaways to help fellow authors and ourselves, to build up those all-important email list. The challenge for author collaborators, as they embrace all this, is to ensure their work is of a high quality and well presented online. Increasingly they will have to. Market forces determined by reader preferences for quality in presentation and editing will force authors to adopt a ‘quality first’ model or drop out of the race. The authors who have addressed these issues will get shared more, and sell more, compounding their success. On Facebook and Twitter and whatever other social platforms you are on, share the posts of authors whose books you enjoy. Provide guest post opportunities for authors on your blog if you have one. This kills a few birds at the same time; the need to create new content, and the need to connect with other authors by helping them. Join a free author team in your genre. One example is where BooksGoSocial will match you with other authors in your genre also interested in collaborating. 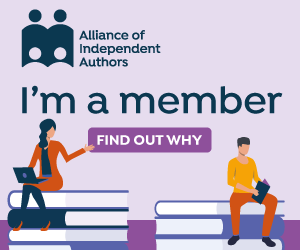 We have over 1,000 authors from around the world collaborating and helping each other, for free. Sign up here. By creating or using our email lists to send out information on the books we like and the authors we want to support. The real first step however is to consider our attitudes: Do we see collaboration as a good thing? And are we willing to take action if we do? The authors you help are not determined by anyone but you. You can find some by searching for the #BGSAuthors hashtag or simply by joining a local writing group or attending a writer’s event in your area, or further afield.